There has been a Resurgence, have you felt it? 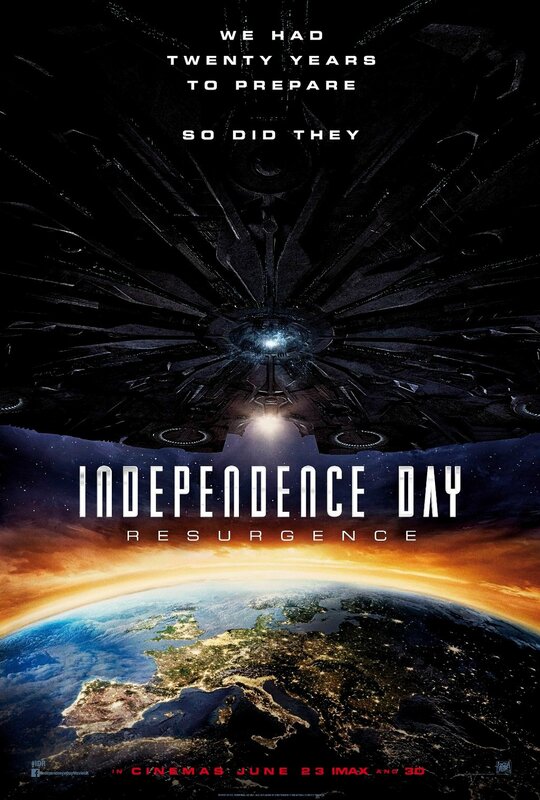 Earlier today, 20th Century Fox blew the lid off Earth Day with the second barnstorming trailer for Independence Day: Resurgence, Roland Emmerich’s long-awaited sequel that seemingly leaves the door open for future movies as Fox’s rejuvenated sci-fi franchise prepares to lay siege to the summer blockbuster window. At least that’s according to Jeff Goldblum. Soon to reprise his role as MIT expert David Levinson, Goldblum touched base on the possibility of Independence Day spinning into a full-blown series in an interview with Fandango. Of course, early on in development, it was reported that Emmerich hatched plans for two movies – ID Forever Part 1 and Part 2 – though it would appear that, at least for now, the possibility of Resurgence teeing up new movies isn’t off the table. Also starring Judd Hirsch, Vivica A. Fox, Brent Spiner, Charlotte Gainsbourg, Maika Monroe, Sela Ward, Independence Day: Resurgence is slated to arrive in theaters on June 24.